Javier, a one-of-a-kind born leader is much more than just a likable character with odd quirks and funny hiccups. To declare he expects a great deal from his team is an underestimation of the soaring standards he anticipates on a daily basis from the agency’s charily-selected digital intelligence group. This is in no way an exhaustive list of the many salient and aggravating-slash-endearing features of our President, but let the record reflect he has one particular characteristic―let’s go ahead and call it a freaky talent―that makes him outstanding, bar none: he knows how to pick the best people. Alright, granted, perhaps, stating “bar none” is going too far because, when he’s blindsided, bushwhacked or sucker-punched into a less-than-the-usual-superlative hire, sinister comedy ensues: spectacularly appalling selections yield days of headaches and utter darkness, and we mean National Geographic (or maybe Enquirer) worthy kind of awful (enter exemplary sample #1 who spelled it “cuntry” and had us cowering in our seats hoping Facebook would crash and drag us all down along with it). But, jokes aside, Javier’s standard picks for his staff are so finely-tuned, so adept and adroit, that although most companies’ “About Our Staff” pages read like a glorified and “cornyfied” glittering saccharine roster of fully-blown hot-air achievements, our agency’s isn’t. What you read is what you get, and here we have a bunch of hand-picked, individually-vetted hard-getters that can get with the best, at their best, and give them a good dash for their money to beget the most where any can be got. And if that didn’t make any sense, Javier’s ability is something none of us can fully understand either. Let the record also show that Javier is as socially awkward as a moose in a Tiffany’s stained-glass shop but he is also shrewd, client-driven, employee-friendly, ambitious, approachable, astutely-charming and single-mindedly obtuse about agency projects in the best possible sense while also charismatically manipulative and maneuvering to the point where, when the dust finally settles, one wonders “how in sweet Saint Peter’s name did he get me to agree to run a 5k marathon while handing out cold drinks to participants? First thing in the morning, I’m walking out on the whole event!” But you won’t; and there’ll probably be pictures to prove it. And that’s just a random example of his strange and uncanny power over people. Another way to describe him would be to quote a renowned adage, the one that claims “if you love what you do, you won’t work a day in your life”… That’s Javier to a T. He is passionate about his job and committed to the success of each and every one of his clients, and hence, the well-being of the thing that brings together this brightly-contrasting, multi-talented and widely-accomplished crew: the agency. He grew up on a farm in Guayama, Puerto Rico, and obtained his Bachelor’s Degree with a double major in Marketing and Economics, and a minor in Sociology from Bentley University in Boston, Massachusetts. Prior to establishing JL Marketing Firm in 2006, Javier had already been nourishing his entrepreneurial and visionary spirit for years, first setting up Infoline in 1998, a tourist-oriented information-providing interactive phone service which kept expanding until it transmuted into Movieline, a film-listing and local show-times facilitator. The company dissolved in 2003 and a bit later Javier started Interacting Services, a new initiative in marketing services with a number of big-player clients who greatly benefitted from in-depth market investigations, statistics and analytics brought about through consumer-behavior assessments. Javier has a young daughter, Carolina, and is about to be a father again, any day now, to a baby boy. He has absolutely no down time to fool around on the web’s digital playground but, if he had a digital name, it would likely be an anagram of his name: Viaje. He’s a trip. Francheska is the embodiment of quality arriving in small packages, which is not to say she’s a walking cliché. On the contrary, this one-of-a-kind little lady is a quick-thinking fast-talking shoot-from-the-hip kind of cowgirl who pulls no punches when it comes to handling our finances. Furthermore, as the mother of three, she can tell if you’re fibbing before the lie even leaves your lips, which is somewhat freaky and endlessly frustrating. Francheska, beyond being our Comptroller also serves as a killer Office Manager, ensuring our cupboards are always stashed with enough espresso coffee and brown sugar to power a small nation. She speaks fast, acts swiftly and responds promptly before you can think to bark at the thought of whatever it is she noticed you did wrong. Fix it before she sends you to your room to think about what you’ve done. She is like a one-woman guerrilla and part of her alluring charm is that she does it with class and style, perfectly coiffed and every hair in place, whereas most of us end up giving the impression of being POWs. It makes sense that she abides by “strength in numbers” and, to this end, she spends her days ascertaining our books are faultless and bulletproof. Nevertheless, like any normal citizen, she has personal weaknesses and her #1 fear is not necessarily dealing with numbers that don’t add up or anything to do with math, but rather, she’s simply and oh-so-humanly afraid to death of having to go to the dentist… which basically means she has the perfect smile: anything to avoid that lean-back chair. Refusing to reveal her Rock Star name, claiming Francheska is exotic enough, our beautiful “arithmetricks-whiz” is actually married to a real-life racecar driver who also imports beauty products. She studied at “Secret” Heart University in Santurce and her favorite webs is www.lasyales.com (we’re not quite sure if that’s meant as a joke). This member with the archangelic name is a forth to contend with, sprightly and Lilliputian as she may be, she’s akin to wasabi: a droplet packs a punch. Gabriela may be young but “junior” is not a statement that rightly applies to her, neither as a suffix, adjective or noun. One of her immediately-noticeable features is her fearlessness. Not for her are the gentle strides and soft gestures of the recently acquainted; five minutes after introductory preambles and greeting noises are over, Gabriela strikes forth like a mean, lean, watch-your-step and mind-the-gap machine. You see, at our agency, most newcomers acquire an irrational dread of entering the Creative Department to ask for whatever they might need. An ordinary passerby would think people were being sent to the lions’ den for all the dismay this seemingly commonplace task provokes. In fact, it’s a hoot to observe the hoops terrified recruits jump through just to avoid the deed; a comedy of motions and an acrobatic feat all at once. Although JLM’s Creatives are nothing to sneeze at, typically temperamental and short-fused, they stop short of cannibalism or any other punishable offense; truth be told, we’ve yet to witness any blood-shedding. The fangs are real but they’re mostly for show and photo ops, which is something Gaby inherently understands, and the reason why the lions purr and rub their heads against her when she visits this particular division, smitten harmless felines that they are in her skilled, pizza-offering hands. Indisputably, her kinfolk being restaurateurs and growing up in the service industry polished Gaby’s capacity to tame the most restless natives, an aptitude she carries seamlessly into her current responsibilities as Social Media Manager who also copes with the client-handling side of things. Prior to warming our hearts, Gabriela earned her stripes working as an intern account executive, performed admirably in radio & event production and even dabbled in media buying. She’s one of our Social Media Gurus, an undeniable Facebook champion, a Marketing Genie without the lamp, but she shines in all her roles. Her Internet time is Netflix & YouTube-oriented with a sprinkling of Pinterest and Vines for good measure. Her Rock Star name is Princy Toyota. We’re still awaiting comment from her two fat cockatiels, Kiko and Kikito. Gabriela has a Bachelor’s Degree in Digital Advertising with a minor in Marketing from Sacred Heart University in Santurce. This young person, Ana Paula, she’s something else altogether. She’s got chutzpah. She’s got mettle. She’s got sass. She sashays when everyone else is dead on their feet, crying mercy. She’s got presence; she’s got charisma; she’s definitely got that poor-art-student with a touch of the bon vivant that makes one imagine she’d agree to join you in a tiny Dodge hatchback to embark on an epic cross-country misadventure right now so long as you promise to stop at every overpriced coffee shop along the way to get a frappuccino. Yep. She’s got that character down pat. Ana Paula’s paying her young-person dues early, at a healthy clip, a trail of smoke in her wake. She’s got fire. She’s ablaze even running on fumes. Ah! Nothing beats the flattering engine of youth, except perhaps the fascination of a modern case of spontaneous human combustion… Which probably makes no sense to you, ‘cuz you haven’t met Ana Paula (or read all the news clips of the roughly 200 SHC happenings), if you had, you would’ve been pulled in by the sheer strength of her gravitational force, and burned upon reentry. And wait until we explain about the little iMac that caught. Fire. Okay, let’s get back to what matters: oftentimes we don’t understand Ana Paula either. Her mind slips into a double-the-speed-of-light frenzy, her mouth won’t wrap rightly ‘round the words as she trip-talks in haste like a bunny evading Sunday’s hunt party, and just the very last two rush through intelligibly (“zoomzoomspeedtalkhastefastquick, who cares!”, or “rushzoomspeedfasttalkswifthastezoom stupid Facebook!”), just two out of a likely clever but complex thought processes that gets wedged in the inner rollers between her brain and voice. She’s afflicted by the human Xerox condition, experiencing a very determined paper jam. Admittedly we are smitten admirers, quietly approving, stifling the urge to roar with glee when noting her thorough work style: she searches, researches, digs and unearths; no cupboard stands unopened, no chocolate truffle left unbitten. She’s curious, furious, and injurious to the less mentally-inclined. Listen, if that’s her M.O. at 20, the sky can go eff itself. There is no sky, no glass, no ceiling. Just you wait till her real mojo starts humming, just as soon as she slows down and lets the rest of us catch up. It’s strange to meet people who listen, who utter smart things like “Oh, I see, I hadn’t considered that” and hmmm and ahhhh, you actually think she’s taking your point to be the right one. Surely that’s a precocious manipulation on her part, the fiend! And she’s also freakishly tall and strong. A graduate of Sacred Heart University in Santurce, Ana Paula studied Advertising. She likes long walks on the beach at sunset and… kidding. She likes to travel, sleep in, eat pizza, and hang out. Absolutely normal in that regard. On the other hand, our agency continues to grow and we’re always interested in the surprisingly gifted talent out there! 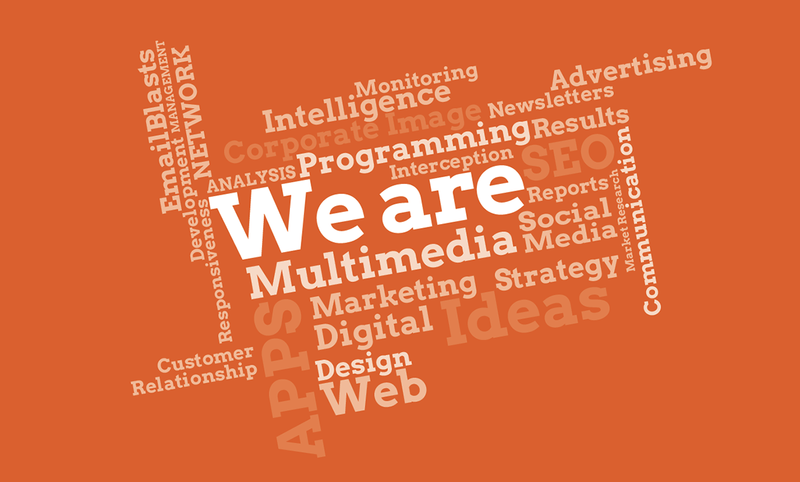 If you’re bilingual, interested in digital intelligence, web development, online presence, social media, integrated marketing and all things digital, then get in here and show us what you can do for our agency and clients! If you'd like to be considered for our team, keep in mind that your ability to get along with every member of the group, follow the established quality-control processes and support everyone else's work efforts are all paramount to the agency's ability to produce edgy and competitive work for all our clients. We are relaxed but diligent and everyone makes coffee or washes dishes at some point. If you want to work in a contemporary, innovative and challenging environment within an organization where you and your ideas are valued, then we are interested in hearing from you. Send your resume, portfolio and a cover letter telling us what makes you so great to info@jlmarketingfirm.com. JL Marketing Firm is an Equal Opportunity Employer.